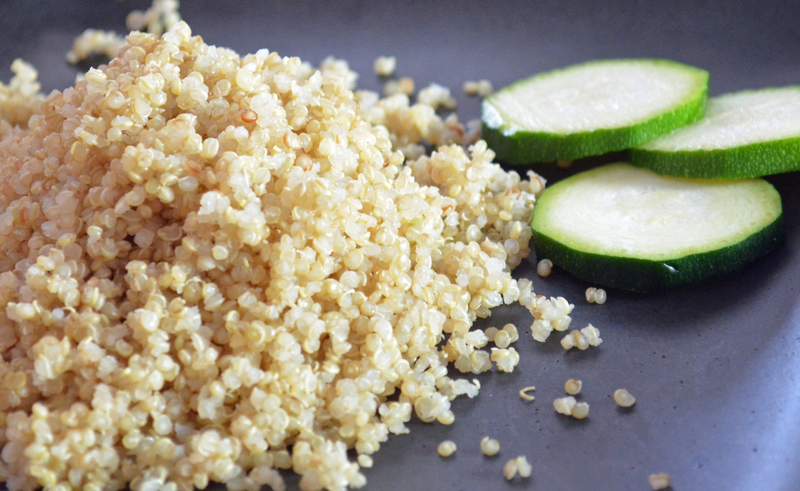 Quinoa is a great tasting source of protein, among other things. This is something you may not have known. A staple of ancient Andean civilizations, quinoa barely gets a second look in our modern society except for vegetarians and other health conscious individuals. It deserves more attention. I won’t bore you with the nutritional details, you can follow the link for that—and this one for additional background information. Quinoa tastes great! Yes, you can look up all sorts of creative recipes, but my favorite way to eat it is simply to cook it in boiling water (with a touch of salt) until you can see the germ separating (little white rings). For my taste, it is fully cooked in about 10 minutes, which keeps the grains slightly chewy. 15 minutes will give you a softer result, but still very good. Drain it and eat it as you would plain white rice. Quinoa is equally as good as rice, and in my estimation, beats couscous and millet hands down. Raw quinoa is known for having a bitter-tasting coating that needs vigorous rinsing to remove (perhaps that is why some people don’t attempt to cook it). But most pre-packaged commercial products are ready to cook with nothing more than a light rinse. Even bulk quinoa that I’ve purchased at local co-op stores has been pre-rinsed. At 222 calories per cooked cup, it is relatively low in calories. Quinoa is for me, one of the high-satisfaction foods in my arsenal. It’s one of my secret weapons. This entry was posted in calories, Cooking Light, recipes and tagged food, nutrition. Bookmark the permalink.